With my friend Rick Escorpeso, a banker from First Hawaiian Bank at the Pacific Business News’ Pau Hana at Trump International Hotel & Tower Waikiki on Thursday, February 20, 2014. Rick has been my friend for about 10 years since we met through our mutual friend, the late Eric Maehara, Esq. while we were hanging out at Hawaii State Representative Jerry Chang’s office during my time serving in the Hawaii State House of Representatives. On Thursday, February 20, 2014 from 9:00 A.m. to 10:30 A.M., I took students from high schools from across the State, mostly from Mililani High School around the the Hawaii State Capitol. First, I showed them the Hawaii State Senate and House Chambers. Then we went to the Governor’s office and Lieutenant Governor’s Office. Lieutenant Governor Shan Tsutsui made a suprise appearance for the students. I joked to the students and told them that they could vote for him someday when he runs for Governor. I’m supporting Shan in his re-election bid for Lieutenant Governor and I will support him to be our Governor in 2018 or 2020, depending on what happens in the elections this year. After, I took the students to the 4th, 3rd, and 2nd floors in that order. I had Hawaii State Representatives Lauren Cheape Matsumoto, Beth Fukumoto, and Kaniela Ing, as well as Honoulu Councilman Stanley Chang talk to the students. My dad, Richard Karamatsu was helping his friend Mr. Eric Kanemoto, a teacher in escorting the students. I hope the student enjoyed themselves and were inspired to play a role in making our world better. Today, Monday, February 17, 2014, I ran the Great Aloha Run for the 6th straight year with a time of 1:09:08, short of my 2013 time of 1:03:46. It rained a bit, but it was still a fun run! On Sunday, February 16, 2014, I attended the Association of Chinese from Vietnam, Cambodia, and Laos’ ANNUAL SPRING BANQUET at Empress Restaurant, Chinese Cultural Center, Honolulu, Hawaii. I spoke to Congresswoman Colleen Hanabusa, Hawaii Speaker Calvin K.Y. 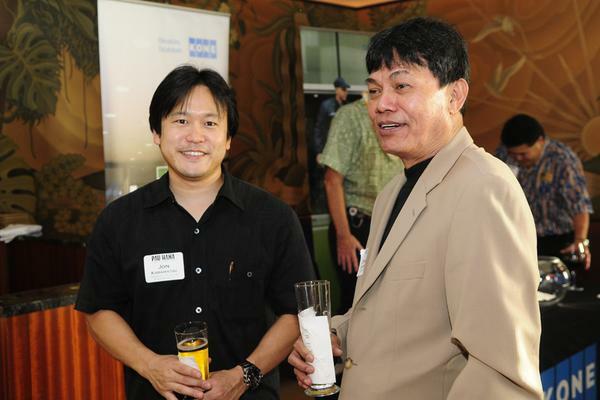 Say, Hawaii State Representative Karl Rhoads, and Honolulu Councilman Stanley Chang.